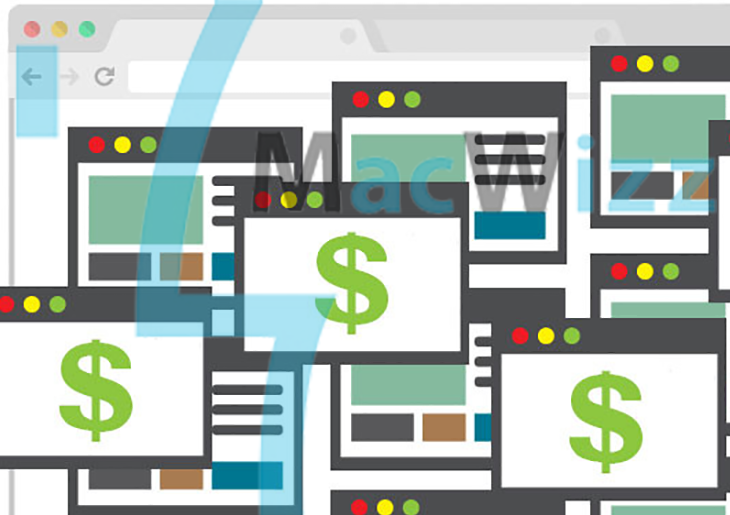 Learn how the MacWizz ads virus infiltrates Mac computers and get an effective walkthrough on removing this threat and rectifying mutilated browsing settings. The predicament where web browsers on Mac are acting up and displaying intrusive advertisements tends to be generally associated with adware. Despite the fact that this type of malicious code isn’t severe and doesn’t cause serious damage, it does not belong on a smoothly functioning system for sure. MacWizz represents this cluster of malicious software. Its activity is restricted to Mac OS X, with the attack surface covering web browsers, including Safari, Chrome and Firefox. The symptoms are easy to tell: whenever the infected user navigates to an arbitrary web page, they stumble upon annoying sponsored elements. These items include popup boxes with various deals in them and large banners hovering over sites’ content. To add insult to injury, the offending applet also affixes underlined clickable hyperlinks to keywords, which point to third-party services. Yet another instance of impact by the MacWizz virus is interstitial advertising. This is the display of separate browser windows being fired when the victim clicks anywhere within the website they are currently on. It may be difficult to notice this happening, because the transitional ads stay in the background. The process underlying these occurrences has to do with an invisible virtual layer that the adware creates. A distinctive feature of these unwanted browser artifacts is the signature. They may be signed “Ads by MacWizz”, “Powered by MacWizz”, “Brought to you by MacWizz”, or “X by MacWizz”. Therefore, determining the adware name is a no-brainer. As opposed to regular browser extensions, MacWizz is hardly ever added by Mac users manually. The infected people don’t remember to have ever installed it. But how does it get inside then? The anatomy of this attack boils down to a social engineering technique called bundling. It denotes a mechanism where users unknowingly approve the installation of arbitrary apps, including malicious ones, when installing something absolutely different and harmless. Such compound setup clients typically suggest that users select their preferred installation option, but most people don’t customize this process. Meanwhile, the default setup routine already has a potentially unwanted program or programs under the hood. That’s why safe online practices presuppose that users should choose custom setup instead and untick the extras they don’t trust. If this infection has ended up inside a Mac through the trickery described above, the victim should realize that ads by MacWizz will keep popping up unless they do something about it. The troublemaking cross-browser add-on must be disabled and sent to trash. The section below explains what exactly should be done and in what sequence. When confronted with malicious code like the MacWizz adware on Mac, you can neutralize its toxic impact by leveraging a specially crafted system utility. The Freshmac application (read review) is a perfect match for this purpose as it delivers essential security features along with must-have modules for Mac optimization. This tool cleans unneeded applications and persistent malware in one click. It also protects your privacy by eliminating tracking cookies, frees up disk space, and manages startup apps to decrease boot time. On top of that, it boasts 24/7 tech support. The following steps will walk you through automatic removal of the MacWizz virus infection. 4. Check whether the MacWizz virus has been fixed. If the lock screen is still there, go to the Uninstaller option on Freshmac GUI. Locate an entry that appears suspicious, select it and click Fix Safely button to force-uninstall the unwanted application. 5. Go to Temp and Startup Apps panes on the interface and have all redundant or suspicious items eliminated as well. The MacWizz virus fraud shouldn’t be causing any further trouble.